There have been many questions about soy products and you may be wondering, "Does edamame lower testosterone?" Some substances in soy, and therefore edamame, are thought to control estrogens in the body and lead to fewer mood swings and other symptoms of PMS in women. Some research, however, has suggests that it may also lower important testosterone levels in men. So Does edamame Lower Testosterone Levels? 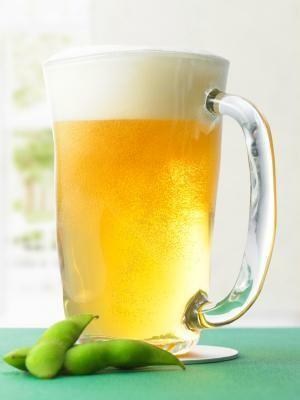 Some research does indicate that eating large amounts of soy, including edamame can lower testosterone levels in men. The isoflavones, like genistein, that are found in soy foods may target and eliminate testosterone. 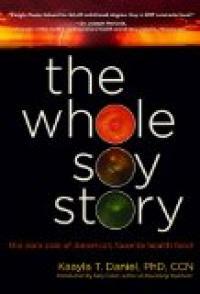 According to Dr. Kaayla T. Daniel, author of The Whole Soy Story, soy can and does lower testosterone levels. While there seems to be many sites on the internet that refer to a Japanese study in which men who ate a diet high in soy products had lower libidos and lower testosterone levels than men who did not, none of the sites link to the report. Men's Health Magazine ran a series of articles in 2003 that discussed the correlation between lowered testosterone levels in men and soy in the diet according to this fitness site. Studies on mice showed that after nine days on a high soy diet the mice had reduced amounts of testosterone in their bodies. Since most of these studies were done with animals, they are therefore inconclusive for humans. At best there is a question about whether or not soy products, including edamame should be eaten by men. There is as much information that states that it is detrimental to healthy testosterone levels as there is information that says that it is perfectly safe. As with anything, it is important to do your own research, talk to your health care provider and come to your own conclusions. Does edamame lower testosterone levels? At this time there is no conclusive evidence one way or another. It is important to have regular check ups, eat a variety of foods, and discuss your health concerns with your health care provider. Never eat an unfamiliar food or take a supplement just because someone else told you it was safe. Be proactive and take responsibility for your own health. Do your own research and come to your own conclusions.Soy products, including edamame, may lower testosterone if eaten in excessive amounts. Check labels for soy products that may be in the food you buy so you know how much you are ingesting.